From some test plays, Greater Good + my infinite green mana loop can draw my deck very easily, only problem is running out of black mana, so I wanted to try address both the pain of death to self mill and a better option for right now to get black mana. 3) if I havent used Songs of the Damned yet, can help me acquire a large amount of black mana by rotating through my deck. 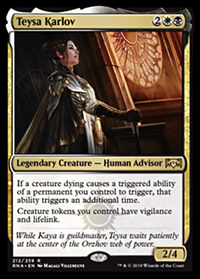 Olivia's Dragoon is an instant speed discard outlet which like Kozilek will help me with Gitrog Card Draw Combo. Blood Bairn is a cheaper no cost sac outlet and pumps herself which can work nicely with Greater Good. Final Parting + Diabolic Tutor more cheap tutors for deck, Final Parting is nice as it puts stuff into grave. 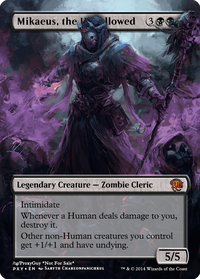 Nezumi Graverobber is added in more specifically to play graveyard hate as deadeye tracker is not multi use in 1 turn. Removed Avenger of Zen as it was more a midrange card combo option with world shaker, but is too slow due to the summon sickness on the plants. Removed Praetor's Counsel, as being able to discard to handsize is beneficial and a filled graveyard is far more valuable to Meren, was solely a "fun" card due to stupid hand size when played. Removed Noxious Gearhulk as its cmc is too high for what you get in return. Removed Shirei as it was far to much setup to get the value out of him, too slow to get value out of him and was never a card I tutored for. Removed Plaguelord due to it being a rather high cmc sac outlet, may end up being put back in as it does help clear boards and kill indestructible creatures. Hi! What is the purpose of Fatal Push? Just to kill weenie creatures? 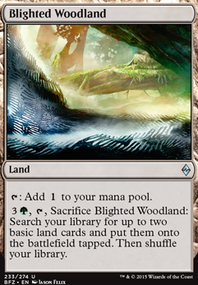 I don't see fetch lands here or any other permanent to sacrifice. jgc10 is right: you should add Indulgent Aristocrat. 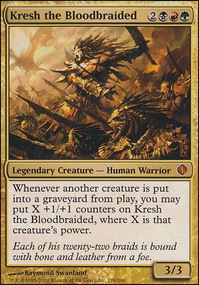 I would also recommend to look at Bloodthrone Vampire, Blood Bairn, Bloodflow Connoisseur, Yahenni, Undying Partisan, Kalitas, Traitor of Ghet or any other Vampire card that utilizes sacrifice mechanic. All these cards should cooperate well with Blood Artist and/or Kalastria Highborn. Hope you'll find the solution. Good luck! Black/Green (as you can guess from the username) is kinda my jam, and reanimator is one of the things it does best. 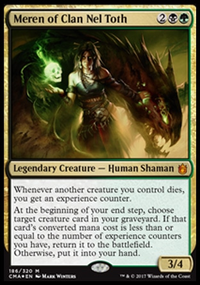 Your Meren actually wants similar things to my Alesha deck...a creature has to die for it to come back and be reused, and creatures that have great effects that you can reuse are going to be the best. 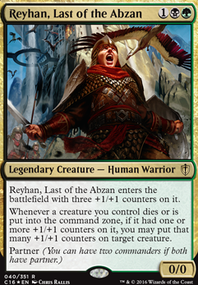 Also look for fun creatures that care when other creatures you control die, since you want that to happen. One more note... Elixir of Immortality is your friend. Many players know how dangerous a well-stocked graveyard is, and getting yours exiled can knock the wind from your sails. It's 100% better for it to get shuffled into your library that be gone for good!